Lawrence & Bright are pleased to offer this three bedroom property. The house benefits from uPVC double glazing, good-sized bedrooms, large kitchen diner, hallway and separate lounge. The property has ‘off-street’ parking and an enclosed rear lawned garden with secure gate. Ideally suited to a family and is small pet friendly. 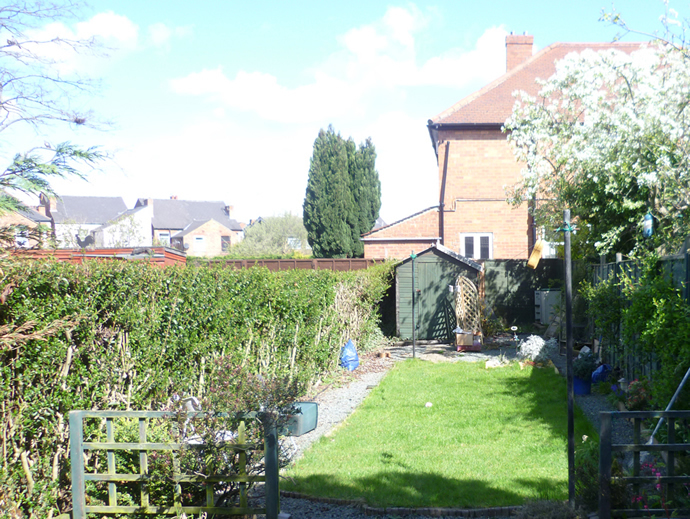 Located close to the city centre of Derby, with good amenities and transport links. This property is to be let unfurnished. Through the main entrance to the side of the property you enter the hallway. Stairs lead up to the first floor accommodation. The ground floor corridor leads through to the lounge at the front and kitchen diner to the rear of the property. The lounge has a panoramic bay to the front aspect of the house. The walls are painted in pale blue and white. Fireplace is for ornamental purposes only. Ample room to fit in sofa and chair(s). 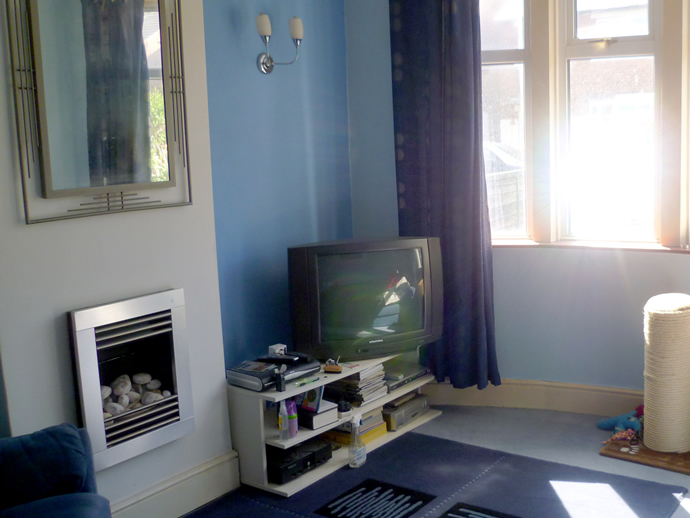 This is a large space - ideal for a family. 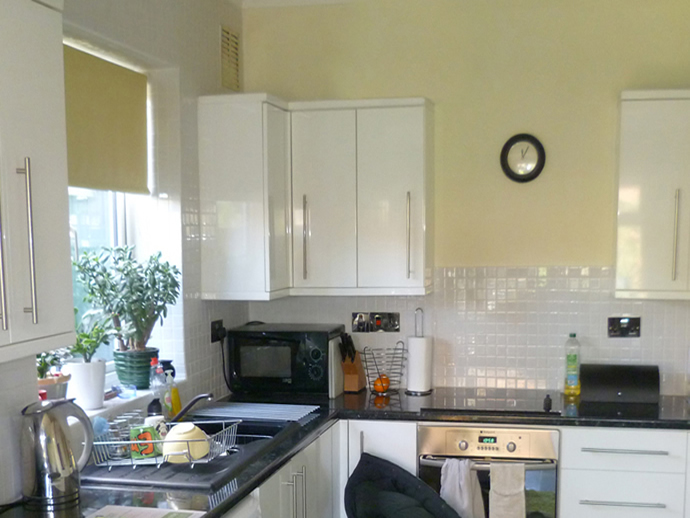 The kitchen area is modern white with plenty of cupboard storage space and white tile splash backs. Electric oven and hob. The dining area resides within the brick built extension and over looks the rear lawned garden. Access to the garden is gained from this room. Master bedroom situated to the rear of the property. 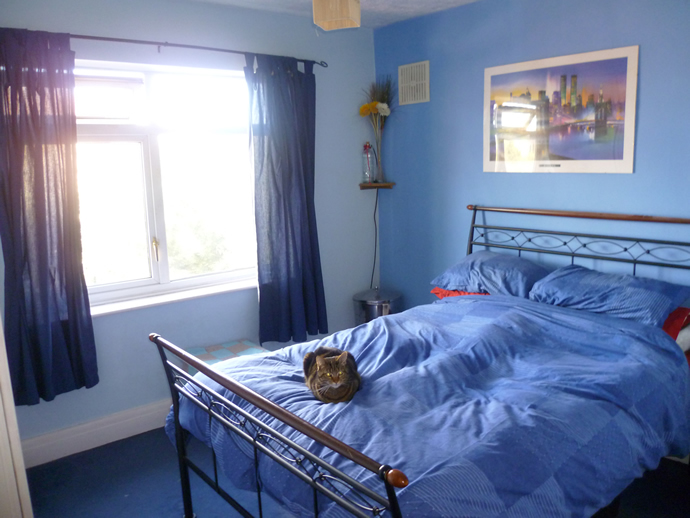 This room is pale blue (walls and flooring) and includes fitted wardrobes. 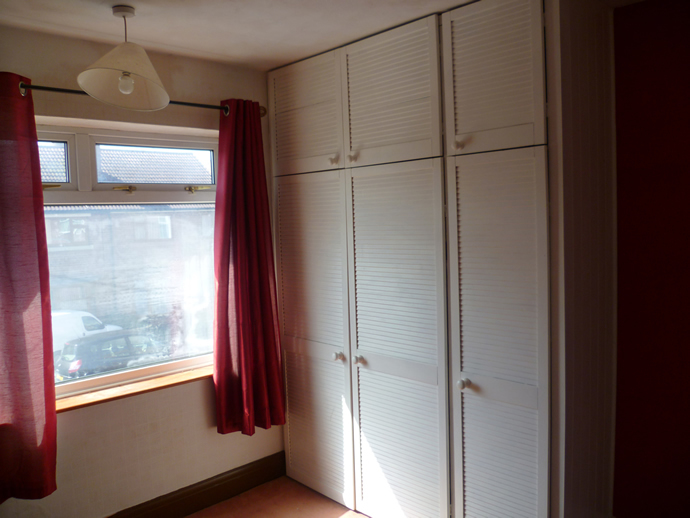 This room includes fitted wardrobes. Suitable as a child’s room, nursery or home office. Located on the ground floor, off the hallway corridor. Fitted with a three piece suite comprising panel sided bath, pedestal wash basin, flush W.C. with pine seat, laminate flooring and mosaic effect tiled walls. The house has the benefit of a driveway and off-street parking. 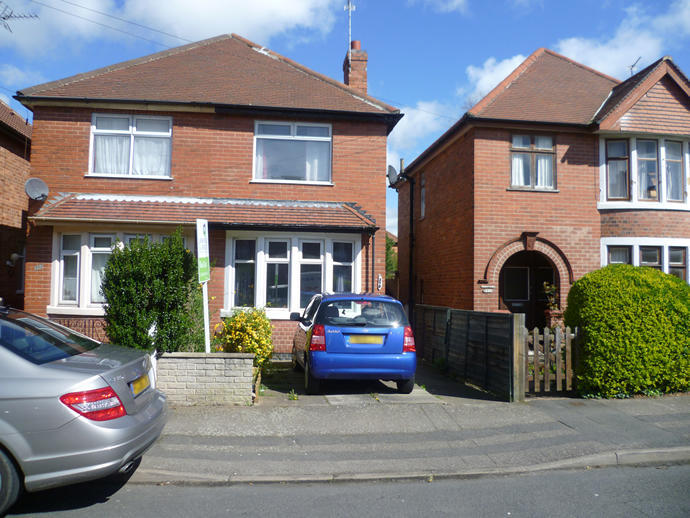 The property has a small front garden plus driveway and a good sized secure rear garden.